Bronnadh gradam ar iar scolaire Thomas MacArtúin ag ceiliúradh an CETB le déanaí dos na torthaí ardteiste. Ba sár scóláíre é Thomas agus an – éacht bainte amach aige leis na torthaí ardteiste. Tá súil againn go mbeidh sé an – rathúil sa saol amach as seo. 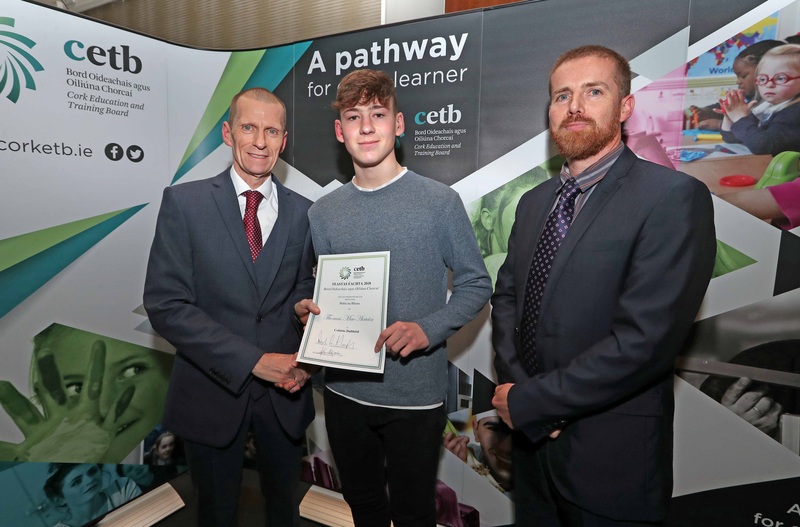 Pictured are, , at the Cork ETB Awards Ceremony for Achieving Excellence in the 2018 Leaving Certificate, at the Radisson Blu Hotel, Little Island, Co. Cork. 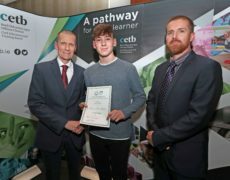 Achieving Excellence in the 2018 Leaving Certificate Exams.